Getting back on the bloggin' band wagon is so hard if you've not written in a while! You just have NO IDEA where to start. So first, why was I gone so long? Cause I was pregnant and then had this sweet face ^! No, not planning on blogging about the birth. The pregnancy, labor and recovery were all so much worse and more painful that I just don't want to recall it all. I just want to kiss this sweet face, and live like a human again. Chase Elias Tracy was born on June 1 2015. He is the sweetest, most easy going little baby. 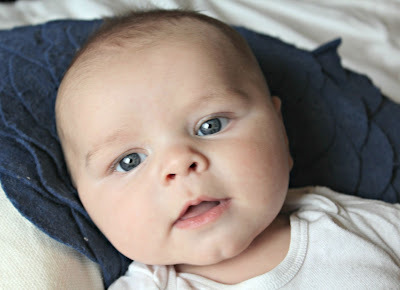 I love his blue eyes like daddy, his sweet smile and adorable dimple in his chin. We are so blessed to have him in our lives. It's been hard for me to watch him grow so quickly knowing that i'm not considering another pregnancy unless I can get my IC and pelvic issues treated. OR not for a few years until our kids are old enough that they don't need me to care for them 24/7. So we are finally, after moving every 3 months or so over the past year, settled. We are in Rexburg Idaho, Danny is excited to start classes at BYU-I in a couple of weeks. I hope we'll be in this apartment until he graduates. I told him he's only allowed to accept internships in the area cause i'm sick of moving and I am NOT doing this parenting thing without him again! Since Chase was born I have been so grateful to have my body back. I can load a dishwasher, walk, do laundry and lift my kids all without crying in pain or vomiting! It's amazing! I still will just stop whatever i'm doing and be filled with gratitude for the health I have right now! I've been flipping furniture and having fun with chalk paint. I have some decorative chalk paint jars in a few boutiques and hopefully they do well. I plan on posting some of my chalk paint projects soon. Danny and I lived on fast food through the majority of Chase's pregnancy because I was unable to do much of anything let alone cook! Even though my weight was about the same as when I conceived I was/am still very over weight, unhealthy and out of shape. Danny had gained weight as well since finishing his time in the army and no longer working out. He committed to get healthy with me. Guys, it's so scary to start something like this. I was NOT at all looking forward to it. I didn't feel ready. Its so hard to have that reality check of how far gone your body is (so far as fitness level and physical ability and strength) as well as really facing the reality of my size. When Chase turned 2 months I decided it was time to address the weight issue again. The after baby water retention weight loss had slowed down and even though I was scared and didn't feel ready I approached Jessie, a former roommate who is now a Beachbody coach. She had sold me shakology and the 21 Day Fix program while I was pregnant. I told her I was ready and asked to be added to her next 21 Day Fix challenge Facebook group. It started August 3. What's the 21 Day Fix? The 21 Day Fix is a diet plan (sorry, I know I called it a diet.. ) based on the idea that it takes a person 21 days to kick an old habits and to establish good ones. 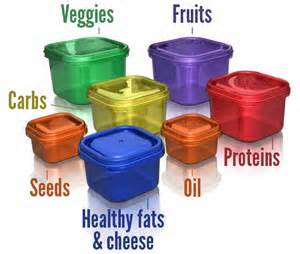 It's clean eating at its basics with containers to help with portion control. It comes with colored containers that correlate to different food groups. I am in the highest calorie bracket and I get 6 containers of green (veggies), 4 purple (fruits), 6 red (protein), 4 yellow (carbs), 1 blue (cheese/ fat), 1 orange (fat's, healthy oils). And then there's also a teaspoon option you can have 6 of a day and that's where like your nut butters and things come in. 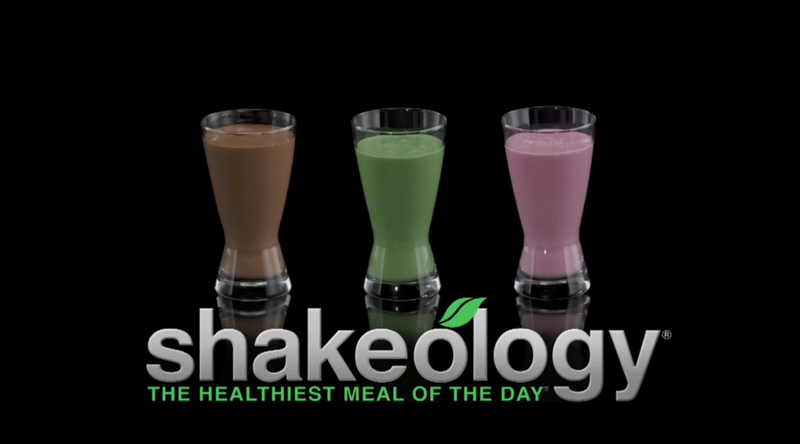 Along with that I chose to drink Shakeology, a meal replacement shake. There are all sorts of claims you can find online about what an awesome, nutrition packed product it is. The program also comes with a workout DVD. There are 30 minute workouts and you do one EVERY DAY! Cardio, pilates, Yoga, upper body, lower body..
My review of the plan? Love it. The beach body coaches really stress that it's not a diet, its a lifestyle change. It took me a few days to really grasp that concept and let it sink in. I was viewing it like any other diet i'd tried and quit. I really am trying to wrap my mind around making these changes long term for our family. I need rules and I need a network that keeps me accountable. I have had a pretty good idea of how to eat healthy, I've counted calories and things in the past but I have a hard time eating enough veggies, eat too many calories even in healthy food, and I love my healthy treats and whole grain carbs. I need those little containers. Most of the times i've lost weight in the past I was on a very very low calorie diet. This plan, if you follow it has you STUFFED with vegetables, fruits, and protein. It's so hard to get all of the food in! But I really try to so that my metabolism will rev up. So its really helped me to eat more of the RIGHT foods. Instead of just less food all together. Being a part of the challenge groups helps me a lot. I get to check in every day and do the daily challenges. None of my groups have been super active or involved, that's been kind of a bummer, but I still get excited to post that I did the assignments so that's helped me. When I don't want to work out and I see that the daily challenge is to post a sweaty workout pic I DO IT. So that's been just what I need. Shakeology is super expensive, we all know that. I don't know if I can say its worth it.. but personally I think its a great product and I love it. Its the best chocolate flavored protein shake i've ever had. I don't feel a super boost of energy or anything from it.. and i'm not sure about their claims that it is like eating all of the foods they say it is in one drink, but it seriously is a great product. It helped me keep my blood sugar down during my pregnancy and helped me get nutrients when I couldn't keep anything down. 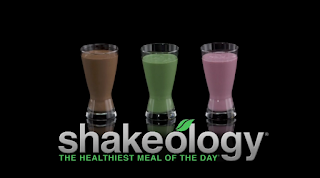 I also love having a chocolatey kind of "treat" on the 21 day fix that is my shakeology. Starting our 21 Day Fix we were so busy I was unable to plan and meal prep like I wanted to. I was pretty overwhelmed for the first few days. It took about a week to get comfortable with understanding the portions and "rules" to the plan. I just didn't know what to make, but eventually we got in a routine and did pretty well. We really stuck to the plan strictly on our first round. We did perfectly the first 2 weeks and during week 3 we moved and things slipped a little. My weight kind of just jumped all over and I wasn't seeing the results I wanted with that first round. I got discouraged a lot and felt really down about how out of shape I was. But we kept going until things got thrown off. I lost about 12ish lbs. I stopped breastfeeding shortly before we started and my weight shot up about 10 lbs right before we started. I was so bummed to start out that much higher, but it came back off. I also hadn't really gotten all level with hormones and cycles and things right after my baby. I had a foot injury and had to baby it during the workouts. I didn't go super ham on my workouts.. I was pretty careful to start out slow and focus on just pushing play and doing SOMETHING every day. As long as I did some working out I was happy. Danny has been so awesome. He's being doing it right along with me and I am so grateful to have his support. No one had ever done that for me before. It's really amazing. We always find something to laugh about during our workouts and we eat healthy meals together. It makes things so much easier and we get to celebrate our success together too. We took a break for about a week and just started round 2 five days ago. It's been going fine, we didn't have groceries to start out again! Everyone always stresses that you need to meal prep to succeed and I do agree but I also think that if you can't do things perfectly and don't have time to prep you can still do your best that day even if it's not going to be a perfect day, instead of throwing it all out the window for the "tomorrow" that never comes. Danny has loosened up a little bit on the rules.. he kind of freaked out a little at first if I didn't measure perfectly or used salt lol. But it's not always easy to measure perfectly when cooking meals. So we do our best and are HONEST about the amounts. The truth is as long as you're controlling your portions and eating 99% clean foods you don't have to be absolutely perfect to get results. KEEP GOING. And keep working out! I have seen my strength increase a lot during this second round. I don't have to do only modified moves anymore and that's been awesome. Being able to do more of the workout also just helps me improve and increase my strength even more. I found out the hard way though what moves to avoid that cause pelvic pain. Today I took some pictures of myself in the same outfit as I wore for my before pics on round 1. The results are awesome! I had gained a few pounds back to start out this round between rounds but I'm down 13 lbs total and you can TOTALLY tell in my pics! It's so awesome. It's really motivated me and gotten me so excited. I almost started crying I was so stoked! Maybe someday I'll share the pics with you. I have gone down a pant size, I can fit my hand around my calf again, I have more energy and my tummy is shrinking! So is my mama pooch. YAY! I have been doing some video's documenting my journey and posting them on youtube. I'm really putting myself out there as another way of being accountable. This is awesome, way to go Megan! I wish I knew more about food, will you share some of your dinner recipes some time?? And you're baby (well both boys) are absolutely adorable! !